Tech & Digital and Fashion at one place. Why not? 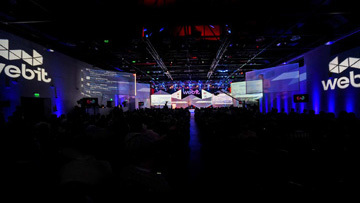 A lot has been said about the spectacular Istanbul that will host Global Webit Congress in October and about the impressive venue Haliç Congress Center. Moreover, the splendid agenda with the inspirational speakers. Now, the time to talk about the spectacular well-known Webit Party has come. Global Webit Congress is famous for its memorable parties. 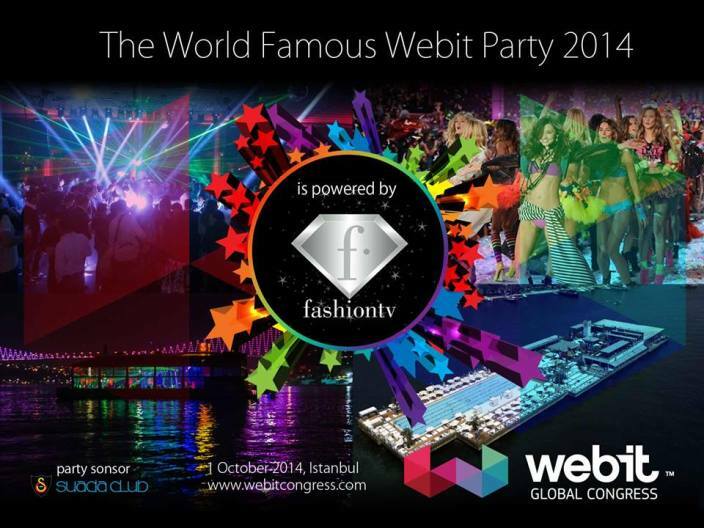 Webit Party in 2014 is powered by Fashion TV – the international fashion and lifestyle broadcasting television channel. Webit 2014 will be the meeting point not only of the World’s Digital and Tech Prophets but also of the most beautiful models from all over the world. Founded in France in 1997, FashionTV has become one of the most widely distributed satellite channels in the world: 31 satellite and 2,000 cable systems, with a total of 500 million households in 193 countries across the five continents. Today, FashionTV is a multi-media platform offering a review of global fashion and is independently owned and operated from the headquarters in Paris, London and Vienna. FashionTV is the only 24/7 fashion, beauty and style TV channel worldwide and provides glamorous entertainment with emphasis on the latest trends. FashionTV is the first global media vehicle to deliver the latest fashion trends, models, events, news and gossip and is first in information – when it happens, where it happens. Innovation is part of the FashionTV’s mission, so it is the first to show the latest trends, fashion weeks, models, events and fashion locations all around the world. FashionTV’s unique mix of production, distribution, innovative technology and broadcasting give its viewers a VIP seat in the best available quality. Everything that happens in the world of fashion and trends, happens on Fashion TV. Setting the highest standards for excellence in fashion and lifestyle broadcasting, Fashion TV is a leader at the fashion market as well as Webit at the digital and tech world. At Webit 2014 party you will feel special and glamorous next to C-level managers and popular models. Book your ticket with early bird price till the end of August and prepare your most fashionable outfit. You will need it!